Written by Jeanne Bliss, worldwide authority on customer experience, and preeminent thought leader on the role of the Customer Leadership Executive (such as Chief Customer Officer, Vice President of Customer Experience, etc.) this book follows the five-competency model she uses to coach the C-Suite and Chief Customer Officers. 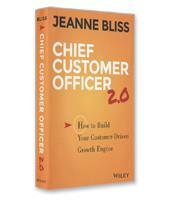 Jeanne Bliss, a long-time advocate of the Chief Customer Officer (CCO) position and author of two previous books on the subject, returns with her third book, Chief Customer Officer 2.0. At the heart of the book is a framework built around five customer leadership competencies that will help CCOs build what Bliss calls a “customer-driven growth engine.” The five competencies show Chief Customer Officers how they can enable “one-company” customer growth behaviors and actions. “Without this united engine, activities go back to being ruled by squeaky wheel issues, executive-driven one-off action items, and silo-by-silo priorities,” she writes. The first of the five competencies is to honor and manage customers as assets. A company’s efforts to understand its customers are often based on surveys in which customers describe what they might do, Bliss explains. The customer-as-asset approach is not about conjecture but about what customers are actually doing. This competency involves aligning leaders to create a performance metric that rigorously measures customer results, including quarterly results, in terms of volume and value, on: how many new customers were brought in; how many customers were lost; how many customers increased their purchases; and how many customers are disengaging from the company. Of course, this competency is not about the numbers but about awareness and focusing the company’s leaders on the why of the numbers: why customers stay or go, or become more or less active. The second of the five competencies is to align around experience. This is the competency required for COOs to guide the leaders of the company into building “a one-company version of their customer journey,” Bliss writes. This is achieved by working with leaders to create a customer journey map that follows the customer through his or her entire interaction with the company. The challenge is that the customer experience is often seen from the company’s perspective, such as prospecting, the sales pitch, the close, or after-sale service. 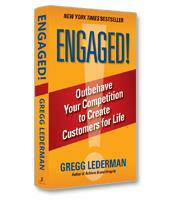 The purpose of competency two is to shift the perspective from the company to the customer. Thus, the first step, for example, is not “prospecting,” but “customers who have an unfulfilled need.” Likewise, the second step is not the “sales pitch” but customers who are trying to figure out their options. The third CCO competency is to build a customer listening path. CCOs must work with leaders to build a one-company listening system, which, Bliss writes, uses multiple sources of customer feedback to focus the company on important areas of improvement. With this competency, the challenge for Chief Customer Officers is to break the dependence on survey scores, which fail to fully describe the customer experience. Bliss emphasizes that leaders must understand, appreciate and respond to the customer’s story, not quantitative results. The fourth of Bliss’s competencies is entitled proactive experience reliability and innovation. The goal of the CCO in this competency, according to Bliss, is to ensure that leaders of the company are aware of customer experience problems before customers have to contact the company. Bliss offers guidelines on how to build a “Revenue Erosion Early-Warning Process” to achieve this important proactive step. This process includes a reliability reality-check — investigating the reliability of the company’s interactions with customers at every stage of the customer journey — and building a defector pipeline, which identifies the make-or-break moments when companies are at risk of losing customers. “Earning the right to growth” is a phrase that appears consistently in this comprehensive guide to customer-driven growth. Filled with stories from a variety of companies as well as practical implementation tools for CCOs, Chief Customer Officer 2.0 is a manual that translates customer-focused language into on-the-ground action.